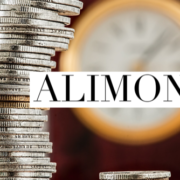 As part of the U.S. Congress’ drive to reform the tax system, one issue that kept on arising was whether the alimony tax deduction would be repealed. 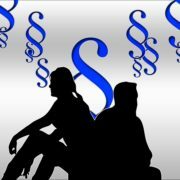 The House of Representatives passed a version of the tax bill that included a repeal for divorces finalized after December 31, 2017, while the Senate version of the bill included no alimony tax deduction repeal. In conference, both houses agreed on a final bill that includes the repeal. However, it will only take effect for divorces that occur after December 31, 2018. In an unexpected turn of events, Florida Governor Rick Scott has vetoed Senate Bill 718, which envisioned broad-ranging changes to Florida alimony and child custody laws. If signed, the bill would have created a presumption in favor of 50/50 child custody, eliminated permanent alimony, and permitted (in certain circumstances) those who had already been ordered to pay alimony to seek a modification based on the new law.